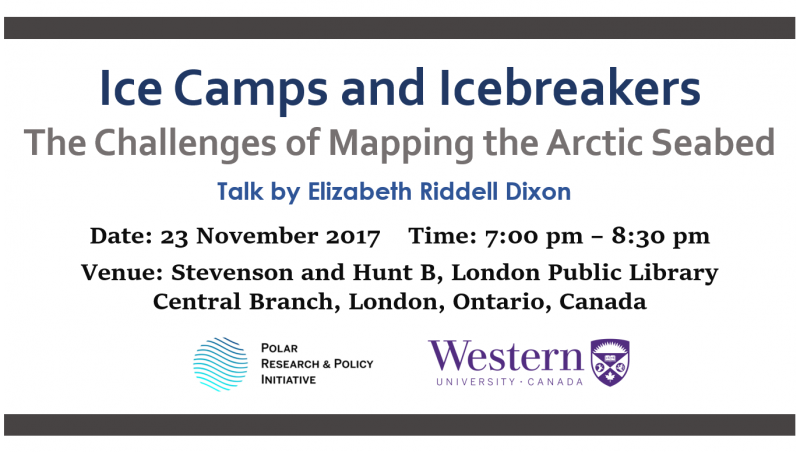 On 23 November 2017, Polar Research and Policy Initiative and the Department of Political Science, Western University, will be co-hosting the talk ‘Ice Camps and Icebreakers: The Challenges of Mapping the Arctic Seabed’ by Elizabeth Riddell Dixon at Stevenson and Hunt B, London Public Library – Central Branch in Ontario, Canada. 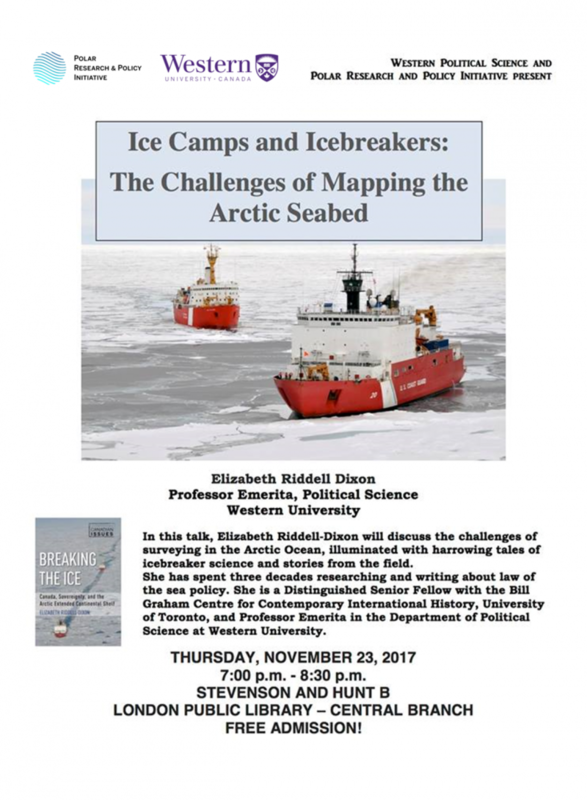 In this talk, Elizabeth will discuss the challenges of surveying in the Arctic Ocean, illuminated with harrowing tales of icebreaker science and stories from the field. The event will start at 7 pm. You are most welcome to attend.